Today I installed to drawer slides using a plywood spacer. 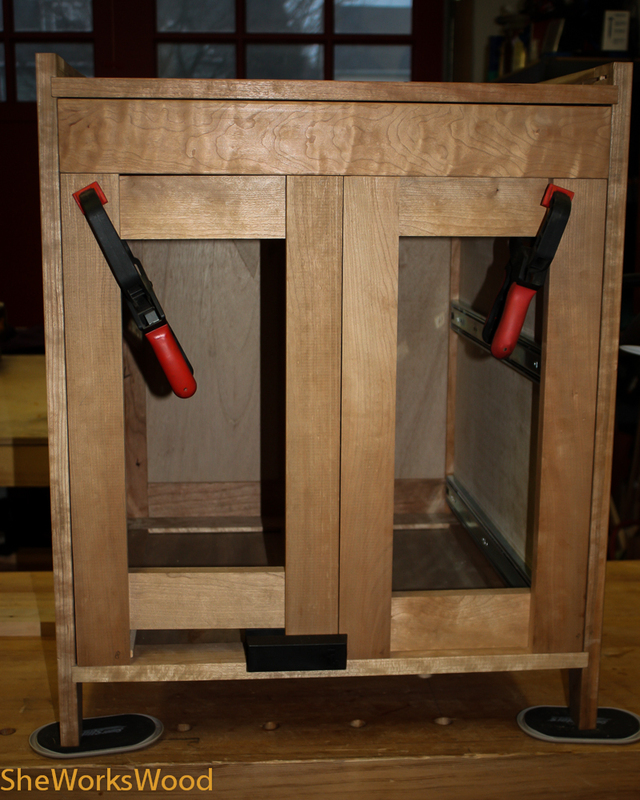 Then I cut all the parts for the doors and arranged them to make sure grain patterns work. Next I’ll make the mortise, tenons and grooves for the door panels. This entry was posted in Cherry Cabinet, curly cherry, desk, door, Uncategorized. Bookmark the permalink.